The Sounds is one of those bands you are forced to love. It’s doesn’t matter if you don’t dance or if electro-pop music isn’t your thing – it’s inevitable. I remember listening to “Living In America” for the first time and succumbing to its lively electro-pop grip. The entire album gave me a visual of what the Swedish ensemble would be like on stage. I finally had the opportunity to see them at the majestic Wiltern in Los Angeles and was blown away not just by the band but by the overexcited audience. I arrived in time to catch a bit of the Limousines’ dance-pop-rock set, which inspired many to dance in place while their drinks splashed on my forehead. After a short while, the venue filled to capacity and the steam began to frizz my hair. 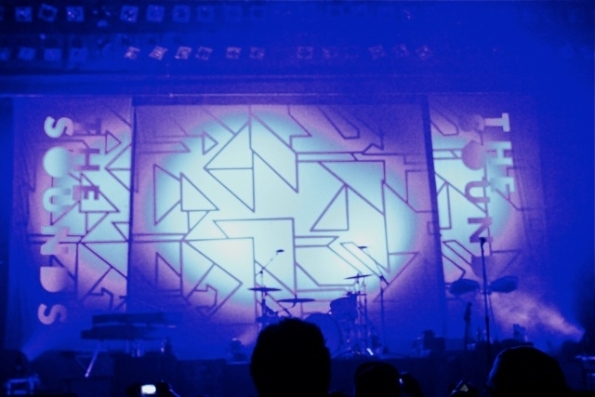 The Sounds’ backdrop peered through the effervescent blue hues and the crowd went Swedish MEATBALL CRAZY! 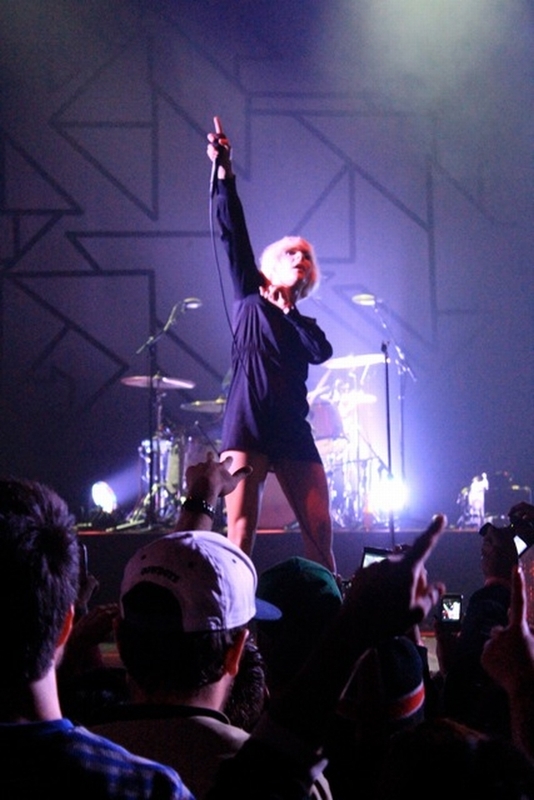 Maja Ivarsson appeared on stage and started immediately with a mash-up of “It’s So Easy” and “Dance With The Devil” off their 2011 release, Something To Die For. through the night while “Painted By Numbers,” “Four Songs and A Fight” and “Rock n Roll” had everyone dancing in unison like muppets on crack. I witnessed a sea of girls unleash their wild sides by pinning their hair up in buns and thrashing and prancing uncontrollably. I was glad I was sober because I probably would have been right alongside with them acting a fool; perfectly acceptable considering how infectious The Sounds were. The night rounded off with “Ego” and the crowd favorite, “Living In America.” This was definitely a fun night filled with sweaty, high energy, intense cardio that didn’t require a fitness trainer.